I got a tweet from this AviationLOGIC asking if I would review their app ApproBASE so I decided to take a look! ApproBASE Is a simple but useful app if you are new to flying or like me a student pilot about to venture away from my local field while learning navigation. It collects via a few screens you approach heading and details of the circuit you want to fly. 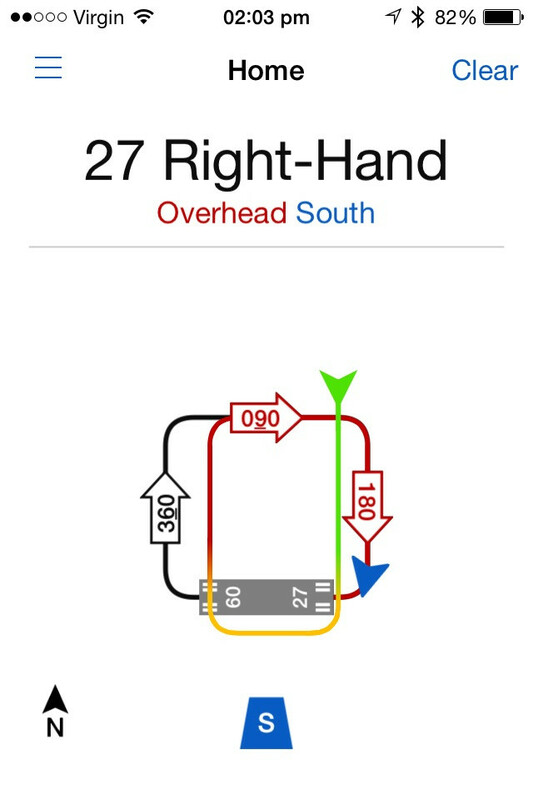 It then generates a nice animated graphic showing you the circuit and headings, helping you to visualise the circuit removing any uncertainty. The first page you see when ApproBASE loads is the Welcome screen which contains the disclaimer also. I understand why the disclaimer is here and why its is shown every time you run the app, however it would be nice if the “Agree” button could be hit without scrolling down! I’m not sure I would try and use it inflight (but that’s just me! ), unless I was using an iPad for navigation anyway. I would however use it to review how I intend to join a circuit I had never flown, before setting out. This leads me to the first enhancement I would like to see, that is an option to print out the circuits for my navigation notes. Yes the wind direction may change and I might need to re plan; using the app in advance of joining, then using it in flight maybe an option I would consider. What would make it of use for me in flight is the option of entering an airfield (or farm strip) in a directory or a favourites list by longitude and latitude and maybe the radio frequency too. When you select this airfield and enter the runway and approach direction it could display the radio frequency together with the distance and direction, allowing me to make the call that I’m X miles south (or wherever), this together with the animation on a single screen would be of great help! The graphics are clear and the animation is simple to understand, but I’m not sure I would pay the £3.99 for ApproBASE, I would have paid 69p without thinking about or even 99p, over that I tend to want to make sure it meets a need I have and to be honest I have never thought about this or the need for an app to show me how to fly a circuit. However with the enhancements above I would buy the app at the asking price or even a little more! Runway 27 RH, overhead join from the south, unfortunately the animation shows an approach from the north! I will feed this back to AviationLOGIC and up date this review with any response. Currently ApproBASE is only found when you search the app store for iPhone only and not iPad, it does run on the iPad, but within the iPhone compatibility display not as a native iPad app. If you have used this app why not let me know what you think below. Firstly, let me thank you Adrian for your review and allow me to applaud you for such a compelling blog. I’ve added a small token of our gratitude at the end of this posting and hope your readers will want to take advantage of it! Maybe I should start with a very brief introduction of AviationLOGIC. 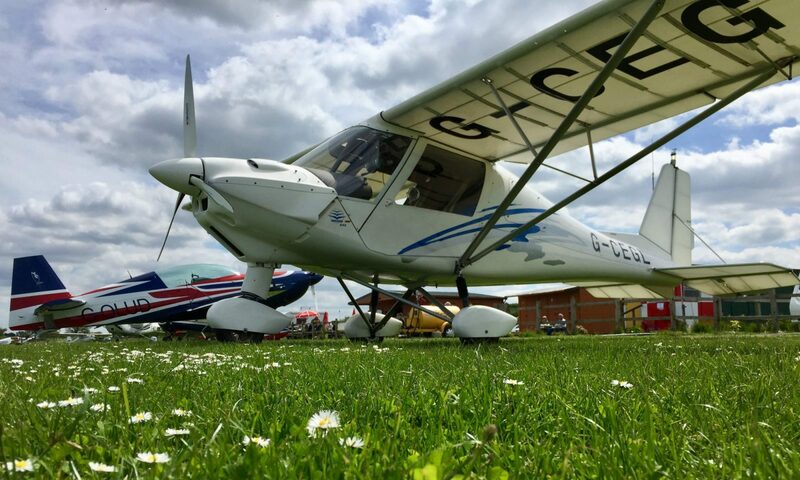 We are a very small company made up of pilots who share a passion for flying. As a small fledgling company, positive exposure and constructive feedback is extremely important to us so that we can keep our products relevant and exciting for our customers. We developed ApproBASE because we found that many low hour pilots (not only student pilots!) struggle to visualise their joins and lack confidence on land-aways. We wanted to find a way to help them navigate joins and circuits safely and so ApproBASE was born. We were so pleased and energised with the feedback received we decided to develop an advanced version of the app called ApproNAV, which is due for launch in the Apple App Store next week, the 1st June 2014. So back to your review, let me try to answer each of your points in turn…. Unfortunately the disclaimer is laid out this way to satisfy lawyers and the authorities. We need to ensure the user actually reads all the terms prior to use so acceptance has to be at the end. It’s only one short flick of the thumb to the Agree button, but we will look into whether the disclaimer can be shortened in the next release. The app is not intended for in-flight use. Like you, we expect ApproBASE to be used during pre-flight planning and like your instructor, as a valuable training aid. Whilst there is nothing to stop pilots using the ApproBASE during flight, we would prefer to see our fellow aviators maintaining a good lookout especially when in the vicinity of an aerodrome or strip where there is a high risk of conflict. Looking at where you are in your training, you will no doubt understand the importance of preparing thoroughly before flight. ApproBASE was developed primarily to encourage pilots to seriously consider their approach and join in detail prior to take off. 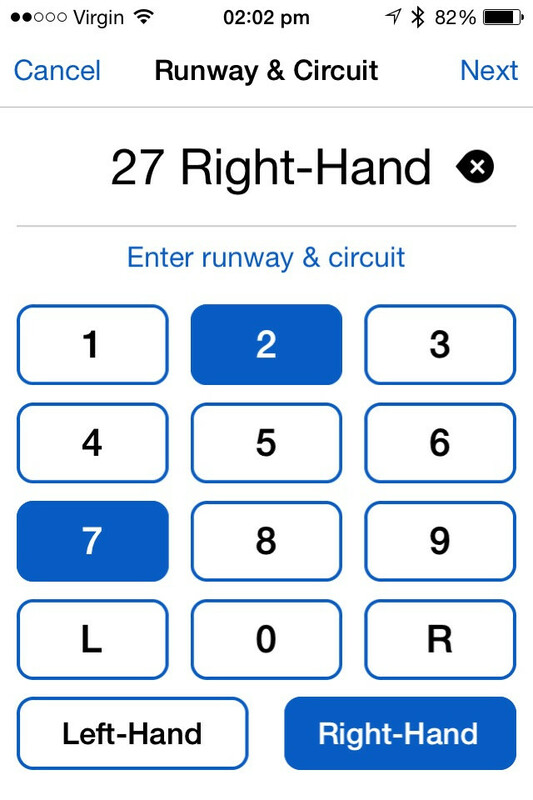 The objective of the app is to help pilots visualise their approach, join and circuit well in advance of arrival at their destination, particularly important if flying to an airfield for the first time. We have found that ApproBASE not only serves as a valuable decision crosscheck, but it helps low hour pilots to build confidence too. The beauty of ApproBASE, however, is that if as you say “the wind direction may change and I might need to re plan”, you can use the app to generate a new generic join overview very quickly without carrying scraps for paper and trying to draw at the same time as flying a machine. We note with interest your comments regarding the need for airfield information and the join overview in the same screen. Currently, ApproBASE has no appreciation of the aircraft’s location. 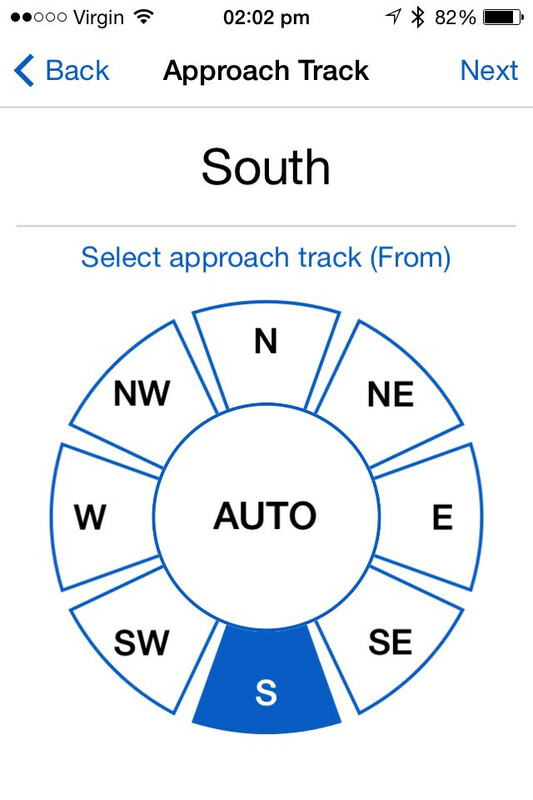 The app can, however, track your ground speed and direction over the ground in order to detect your approach track over the ground (details are shown on screen when using an iPhone 5). We are considering approaching the likes of SkyDemon, Foreflight, Jepesson, Airbox, etc. to see if they would like to integrate the intellectual property of ApproBASE in to their navigations systems – all I can say at this stage is watch this space! Sorry to hear you think £3.99 is too pricey, but apps are expensive to develop and we do need to try and recoup at least some of our costs in order to continue developing new and exciting apps for the GA community. When you compare the cost of ApproBASE to an equivalent mechanical alternative, such as Pooleys Landing Pattern Computer costing £13.50 + postage, it seems very reasonable to me and others we asked before setting the price. I was extremely pleased to hear your instructor said it would be “a good teaching aid” – that is exactly what we had hoped for. The need for a powerful training tool that can be used by instructors and students together in collaboration is what spurred us on to developing ApproNAV, the advanced version of ApproBASE. It was designed with the instructor/ student relationship in mind and it includes features such as a Pilot Pad, Night Mode, Circuit/ Join Levels, Ground School, etc. In your example, the start point for a Standard Overhead Join is actually displayed correctly (ref: CAA SOJ Poster). Our aim has always been to help pilots visualise their join in a way that allows them to use their own judgement to position for the correct circuit entry point. In earlier prototypes of ApproBASE, we had actually drawn out the route from the approach direction to the join point, but felt we could be compromising safety by suggesting/ recommending a route for pilots to follow without due regard for local conditions, noise abatement, airfield specific circuit procedures, etc., so we removed the feature. We would consider reinstating the ‘recommended path’ feature, but currently we believe it should be left to the Pilot to use his/ her discretion to work out how best to navigate to the join point. In the scenario given, I would probably opt for a crosswind join, which provides a far more efficient join when approaching from the south. The beauty of these apps is that they allow pilots to consider all possible approach and join options before they take to the air. The added benefit of ApproNAV is the user can flick between different join options very easily and without having to change screen. ApproNAV also includes a Pilot Pad feature that allows the pilot to draw the join with all associated information including their tracks. 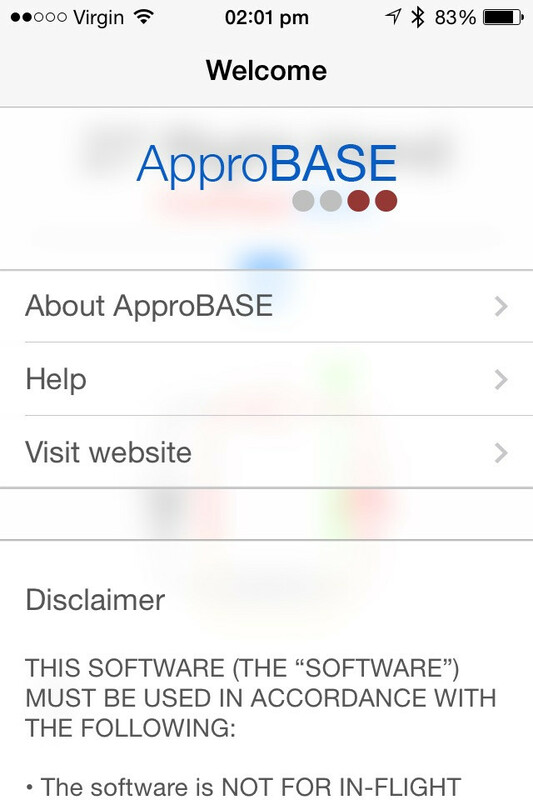 As you mentioned, currently ApproBASE is an iPhone native app so people searching for ApproBASE in the Apple App Store using an iPad requires the user to set the ‘iPhone only setting’ in his/ her search filters. As you say, ApproBASE does run on the iPad and we think it works really well. 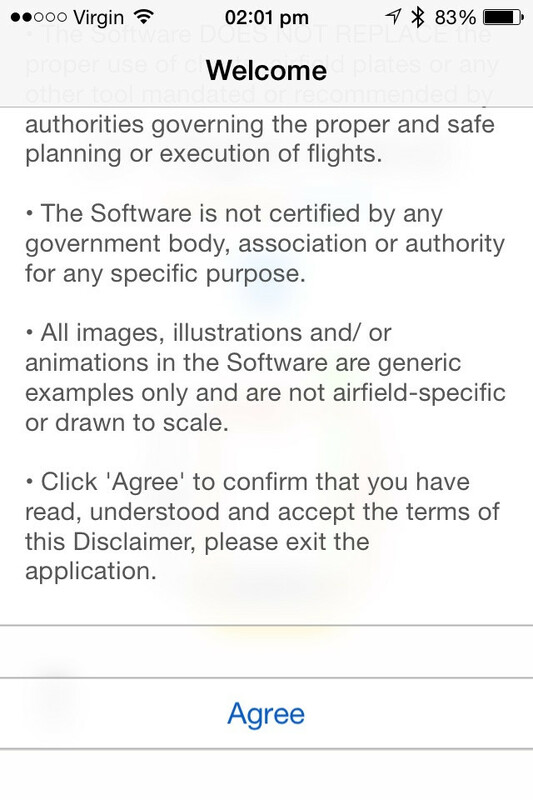 The best way to find AviationLOGIC apps in the Apple App store is to use this link (https://itunes.apple.com/gb/artist/aviation-logic-limited/id803083269). As I mentioned in the opening paragraphs, we are keen to ensure our products remain relevant and exciting so constructive feedback is always welcome. With that in mind and as a small token of our gratitude, we are offering a FREE COPY OF ApproBASE (limited number available on a first come first served basis) to your followers that sign up to AviationLOGIC news and future promotions. Your followers can get their free promotional code by completing the contact form on our Promotions Page (http://www.aviationlogic.com/promotions.html). Those registering should select ‘Promo 4” from the promotions drop down list and reference your blog in the message section to receive their free code. This offer will remain open until all free apps have been claimed. We hope this gesture also helps with your point on pricing! Once again, the AviationLOGIC Team would like to thank you for your review and we look forward to keeping the dialogue open so our pilots can continue to develop new and exciting apps for the general aviation community. Next PostNext Two weeks for the price of one!